You've spent all week slogging away at work, earning that cheddar. Now the weekend is here, and it's time to relax, unwind, and do your own little part to contribute to the grand machinations of capitalism by putting some of that cash back into circulation. Luckily for you, we've been keeping an eye on some of the best tech deals to surface over the past few days. Here are five of our favorites, lined up and ready to make your money stretch just a little bit further. 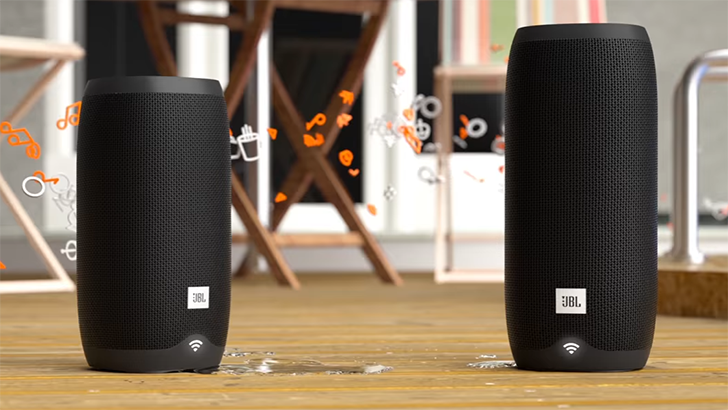 Bluetooth speakers may be a dime a dozen, but here JBL ups the ante with features like Wi-Fi connectivity, Chromecast support, and even some voice-powered Google Assistant action on the bulk of the models included in this sale. On the more affordable and portable end of the spectrum we've got models like the JBL Playlist and Link 10, down to $130 and $100 respectively, for savings of $20 and $50. 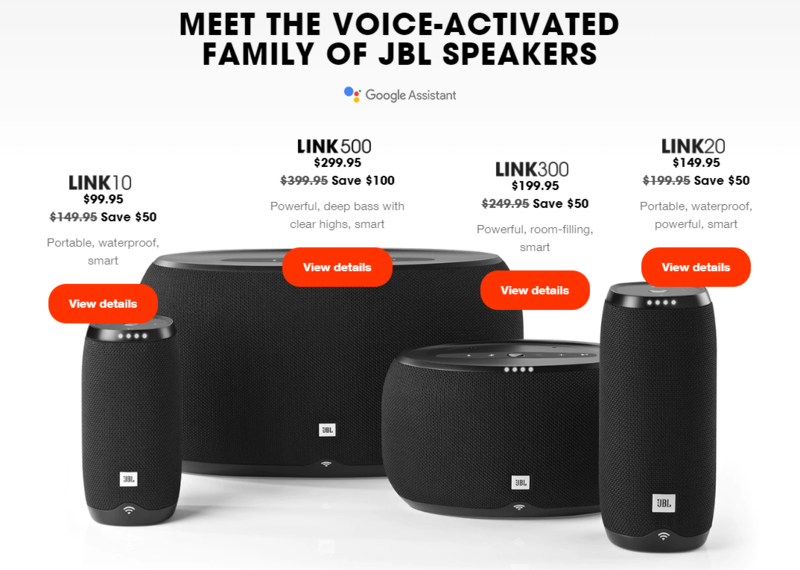 And while the big JBL Link 500 may be a sizable investment at $300, the fact that you're saving a solid $100 on it sure takes some of the sting out of that purchase. Check out the whole breakdown of discounts and links to participating retailers in our deals post. Still primarily a software and services company, Google's been growing increasingly confident in the hardware realm over the years, experimenting with products that push past its comfort zone out in new directions. We may see as many misses as hits, but it sure is interesting being along for the ride. 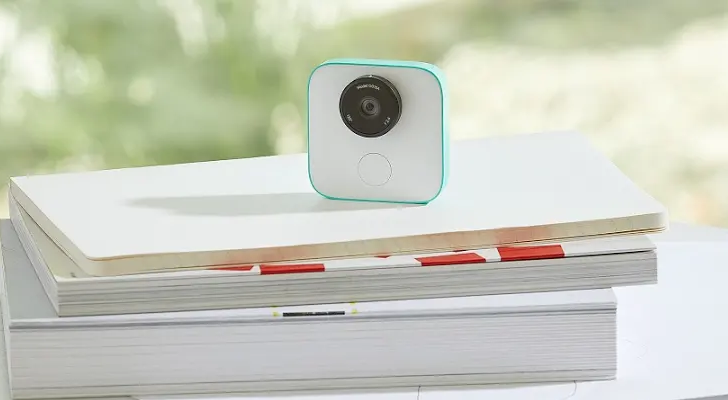 One of Google's more unusual recent devices is the Clips smart camera, a wearable that promises to help document the important moments in your life. If you're curious to take a chance on it, Google's currently knocking $50 off the price tag, letting you pick up Clips for just about $200. You can easily spend seven, eight, or nine hundred dollars on a new flagship phone with top-of-the-line specs, a stunningly attractive design, and all the bragging rights that go with it. While we absolutely love high-end hardware like that, the fact that you can still buy a fully functional smartphone (albeit one with fewer bells and whistles, and maybe lacking that extra coat of polish) for literally an order of magnitude less is still pretty darn impressive. 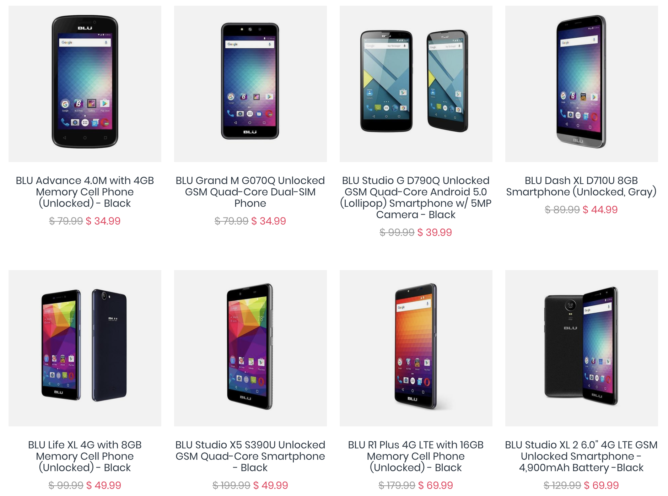 The BLU smartphones featured in this deal aren't going to turn many heads. But if you need a backup phone, or maybe just want a handset you don't have to feel so nervous around (lest you ding its $500 frame a little), these BLU models might be just what you need. They're all refurbished units of varying quality (check the descriptions on each for details), but with prices ranging from $35 to $70, we're willing to let a whole lot slide in the name of saving a buck. You can even score an additional $10 off and pick up free shipping with our coupon code — check out all the specifics in the post. Network-connected cameras are the best thing to happen to DIY home security in years, making it easy to keep an eye on your valuables wherever you are. While that makes it pretty tempting to outfit your own home with such a system, there are so many options to consider that it can be positively overwhelming. 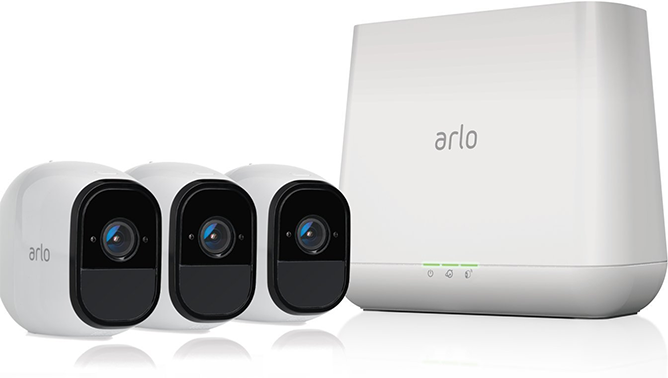 You can at least narrow down that list a little if you're interested in a solution that's also a great deal, with Amazon selling a three-pack of Arlo Pro wireless security cameras, along with their siren-equipped base station for just under $400. How good a deal is that? Well, seeing as the two-pack is $390, and the four-pack is nearly $550, this feels like a pretty substantial sweet spot. It's a noisy world out there, all conspiring to come between you and the quiet enjoyment of your favorite music. For a little reprieve from that onslaught, check out the noise-cancelling action of the Libratone Q Adapt headphones. What's nice about the noise-suppression here is the variety of options available. In addition to the regular on/off action, you also get a mode that offers more mild cancellation, as well as what's essentially an anti-noise-cancellation mode that actively picks up ambient sounds so you can still hear important things around you with the headphones on. 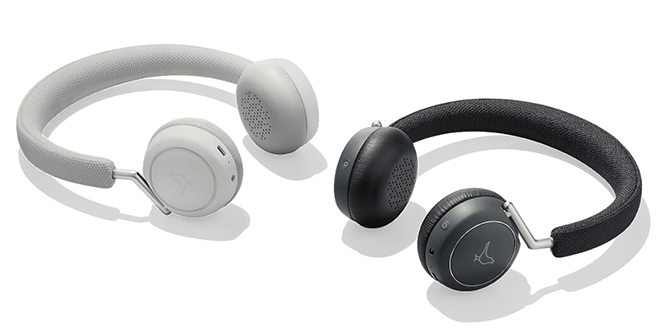 Google's got the headphones for about $200, which is $50 less than you'll find elsewhere. All these deals are still currently active at the time of this post, but they won't last forever — if you're looking to take advantage of any, make sure you don't wait too long.